Coral reefs provide essential protection for people who live near coasts all over the world, according to a recent study. But reefs are dying because of the consequences of human activity, especially climate change. The study found that without reefs, annual damage from flooding would double from $US4 billion to $US8 billion. On September 10, 2017, Hurricane Irma slammed into the Florida Keys, whipping islands with 130-mph winds and bringing surging ocean waters 4 to 6 feet higher than normal. The Category 4 storm reduced almost all ground-level homes to rubble in some parts of the Keys. Boats crashed onto roads and into trees, and cars were washed across streets. But without the coral reefs that line the coasts of the Keys, things would have been much worse, Bartels said – waves higher than 20 feet could have slammed the islands, wrecking even elevated homes. “We lost a lot of our live coral out there. It basically gave its life so our buildings are still here,” he said. 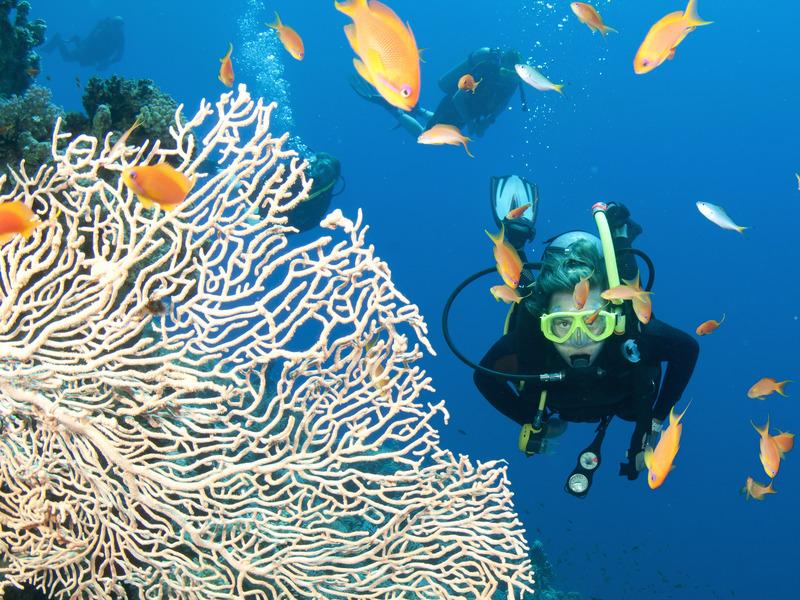 Coral’s function as a buffer is incredibly important for people all over the world, according to a study recently published in the journal Nature Communications. The researchers applied models used by coastal engineers and insurance companies to calculate how much property damage coral reefs prevent each year. They found that without living reefs, flood damage around the world would double, increasing from $US4 billion to $US8 billion annually. Learning more about how reefs protect coasts has become urgent, since many experts think the majority of the world’s coral reefs could die within decades. Coral reefs are living structures that build up near coastlines, providing essential habitats for marine life. The reason they serve as buffers is that during storms, surging floodwaters and massive waves must roll through coral reefs before reaching land. When the water hits the breakwaters created by the reefs, it loses much of its energy. But around the world, about 50% of the world’s reefs have died over the past 30 years. As humans have burned fossil fuels, the heat-trapping gases they emit have accumulated in the atmosphere, leading more heat to be trapped on the planet and Earth’s average global temperature to rise. Earth’s oceans have absorbed the majority of that heat – about 90% of it so far. As waters rapidly warm, corals lose the components that give them colour and help them produce food, a process called bleaching. That slows their growth and makes them vulnerable to algae, disease, and death. Increased ocean acidification caused by the absorption of carbon dioxide causes this bleaching, too. Bleaching events killed about half of the largest reef system in the world, the Great Barrier Reef, since 2016. Worldwide, 98% of reefs are expected to be exposed to potentially fatal conditions every year by 2030. In some places, overfishing has also wiped out healthy food chains, which allowed algae and parasites to overwhelm corals. At other sites, boats dragging anchors and nets – or just scraping along the sea floor – have damaged or destroyed reefs as well. These creatures are also threatened by pollution from agriculture and runoff from cities. This global coral die-off means coasts will lose significant protection. The new study estimated that if just the top meter of reefs were lost, annual flood damage would double from $US4 billion to $US8 billion. Indonesia, the Philippines, Malaysia, Mexico, and Cuba would all be hit with more than $US400 million in additional flooding damage every year. The US would have to spend about $US94 million more every year on flood damage. According to the study, floods would affect about 70% more land and 81% more people every year without reefs. And of course, big storms would hit harder and cause more damage. The destruction from so-called “100-year storms” (which are now happening more than once every 100 years) would increase by about 90% according to these models. When combined with sea-level rise projections, that flood damage cost could quadruple. The reasons to save reefs extend beyond coastal protection. These stunning sites, which cover less than 1% of the ocean floor, are some of the most biodiverse areas on Earth. About 25% of fish species spend some part of their life cycle in reefs, which means the loss of reefs could cause rippling ecosystem effects and more widespread ocean die-offs. 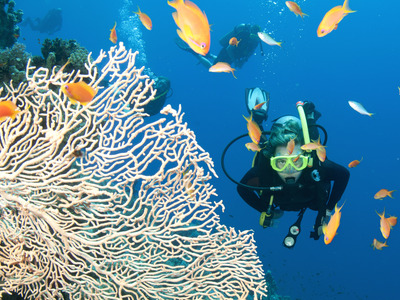 Coral reefs also provide jobs for thousands who work in the fishing and tourism industries. 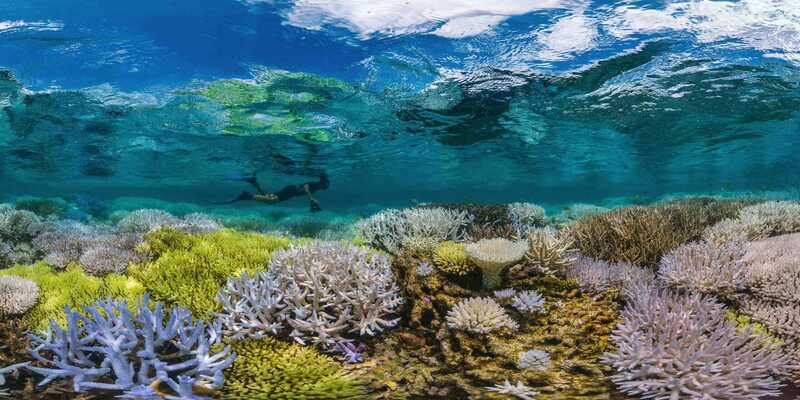 Estimates of the overall economic value of reefs suggest they contribute between $US30 billion and more than $US375 billion to the world economy annually, though some scientists say those figures are far too low. For all of these reasons, scientists are trying to come up with ways to save reefs. Efforts include identifying coral that’s particularly resilient to heat or acidity, and pioneering ways to quickly regrow coral so that dying reefs can be re-populated. Scientists involved in this work have achieved impressive results: in some cases they have recreated coral organisms that originally took a century or two to grow in just a few years. Other researchers are looking at ways to breed super-corals. On the Great Barrier Reef, researchers have been able to replant coral larvae in some sections after collecting coral eggs and sperm. Many experts think that with enough help, it’s possible for reefs to recover in many places, at least to some degree. But if they are going to survive long-term, the global emissions causing climate change and ocean acidification need to dramatically reduced. Otherwise, we’ll lose the protection, food, jobs, and pure enjoyment that reefs provide. “It is our hope that this science will lead to action and greater stewardship of reefs around the world,” Beck said.